The clock has finally ticked over 23:59 on 31st January. Some spent the arrival of February with their Self Assessment tax return submitted far in advance. Others were exhausted after rushing to file it. And a few will have missed the deadline entirely. If you’re in the latter group, don’t be tempted to bury your head in the sand. Nothing is gained with avoidance – in fact, any tax anxiety will just last longer. Here, we offer some guidance on how to deal with the situation. Even a submission that’s a millisecond late results in a £100 penalty. And this isn’t the only one. If you continue to delay filing your tax return, after 90 days HMRC move on to the second phase of penalisation: a £10 per day fine. This stage lasts for a maximum of 90 days. After this, there is either a £300 penalty, or you’ll be fined 5% of the amount of tax owed – whichever is the greatest. If your Self Assessment still isn’t submitted by the time the next deadline comes around, this penalty will then be applied again. The due date for paying any tax owed is also 31st January. There is a 30-day period after this date where you can pay it without any further penalty. Once this time period passes, you will be fined 5% interest on the amount due. If you have a reason for not submitting your tax return on time, then you may be able to avoid a penalty. Just make sure it’s an acceptable explanation, rather than an unbelievable excuse. Also, be aware that the late payment penalty system is due to change. Many procrastinate when it comes to the Self Assessment because they believe it takes a considerable amount of time. But this isn’t the case at all – it can actually be done in minutes if you’re thoroughly organised. Know the documents you’ll require, and gather them together before you begin the process. Having to continuously search for them will likely frustrate you, especially as HMRC signs you out of their online system after a certain time period. You can also make submission swift by employing tax return software. This offers a variety of features that will get you to grips with how tax works, allowing you to spend the least amount of time possible on your Self Assessment. If you decide to use Self Assessment software, then make sure that you select tools that make the process as easy as possible. Ideally, it will have full functionality – providing you with the ability to capture expenses on your smartphone or even submit your tax return on this same device, for example. Tax-saving suggestions are another fantastic feature – you’ll not need to figure out if you could reduce your liability, the software will tell you. Great tools also allow you to simply enter your data, and then do the sums for you in real time, adjusting the amount of tax due at any time of year. Whilst you can’t turn back time to meet this year’s tax return deadline, you can ensure you meet next year’s by inputting your information throughout the coming 12 months. When the upcoming due date approaches, you’ll be able to quickly click submit, rather than experience stress. GoSimpleTax has all the functionality you could ask for. Register for a free 14-day trial to sample the software. If it works for you, then you can sign up for an annual subscription to take advantage of every feature available. Sign up now. No obligation trial. 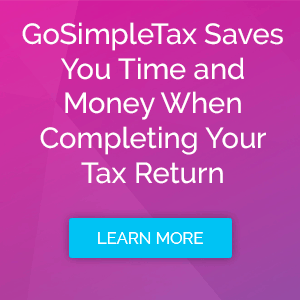 There’s no need to wait to see if GoSimpleTax is right for you. Our no-obligation trial is available immediately, with no credit card required. Download now for iOs or Android. GoSimpleTax is registered at the Information Commissioner’s Office (Reg. No. ZA120006). GoSimpleTax is a trading style of @GoSimpleTax Limited, with registered office at 2 Cromwell Court, Oldham, OL1 1ET, United Kingdom. Copyright © 2019 @GoSimpleTax Ltd.